EVENT. 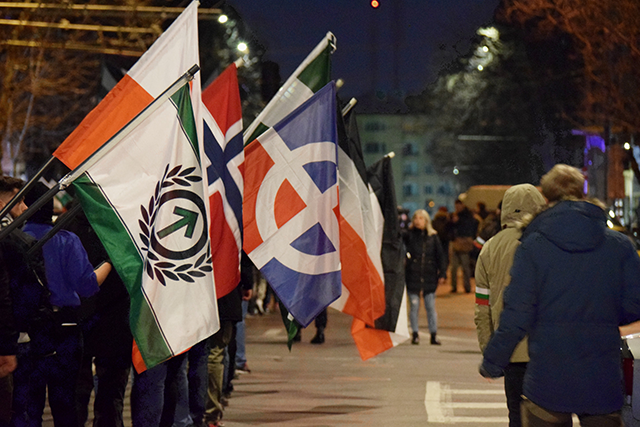 A delegation from the Nordic Resistance Movement recently attended the annual memorial march for Hristo Lukov in Bulgaria. 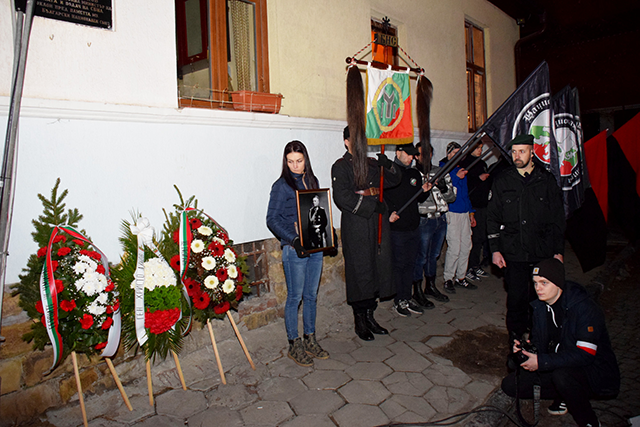 On the 13th of February 1943, communist terrorists murdered the Bulgarian Minister of War, Hristo Lukov, outside his home in Sofia. Lukov’s ten-year-old daughter witnessed the murder. 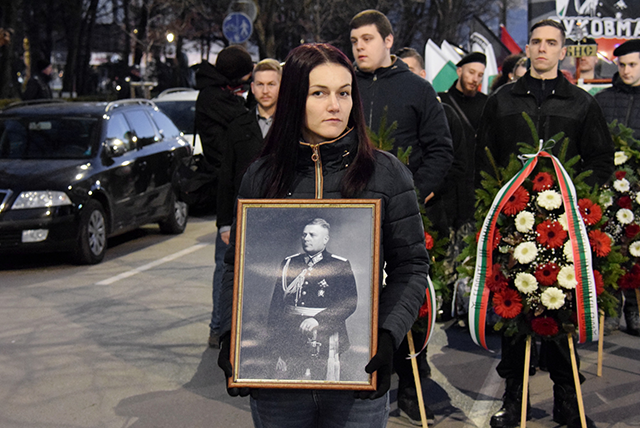 When the puppet government of the People’s Republic of Bulgaria was installed by the Red Army in 1944, the general and war veteran Lukov was slandered. Government censorship caused the memory of Lukov’s murder to fall into oblivion. Historical documents and articles written by Lukov were systematically erased. Only after the collapse of communism was he rediscovered. 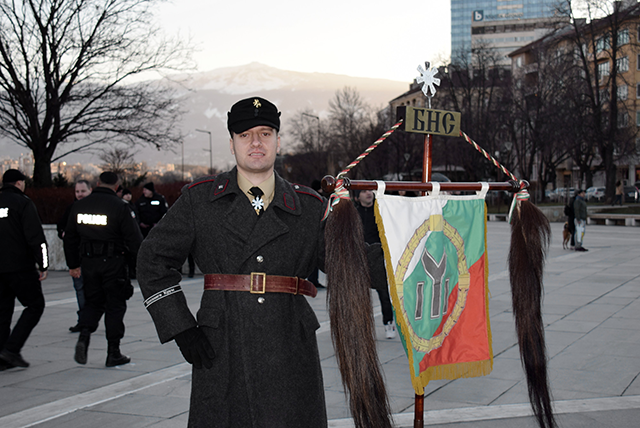 To honour the general, annual memorial marches have been organised through the Bulgarian capital of Sofia. 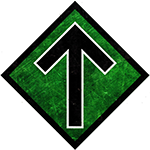 This year marked the fourth occasion the Nordic Resistance Movement has sent a delegation to the event. The Movement’s presence has always been appreciated. 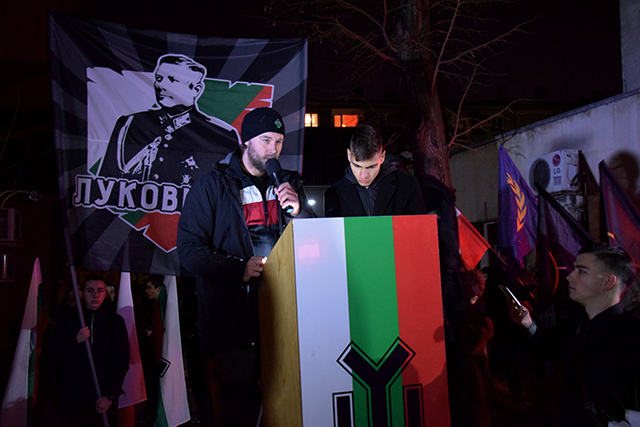 On each of these four occasions, Pär Sjögren has held speeches for our Bulgarian friends and other European comrades. 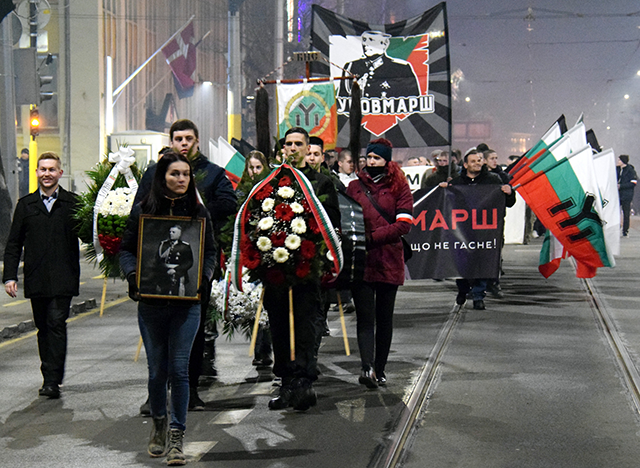 The European Union and anti-Bulgarian lobby organisations have taken action to prohibit the memorial march, but the organisers have always stood their ground and made appeals contesting the bans. 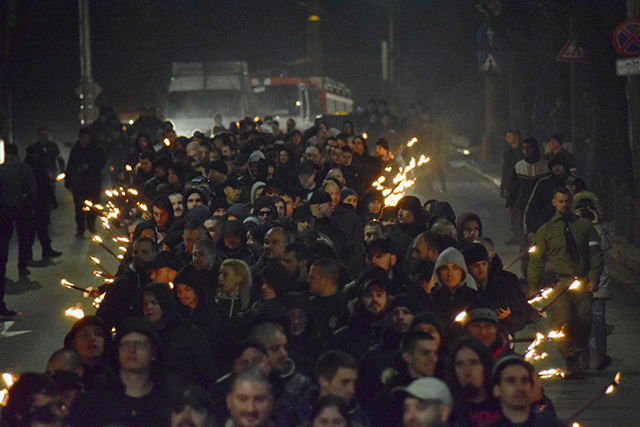 This year, the right to march was uncertain, which prompted the police and organisers to strike a compromise, using an alternative route to previous years. Because of this, the memorial march could go ahead without major restrictions – despite it having been banned. 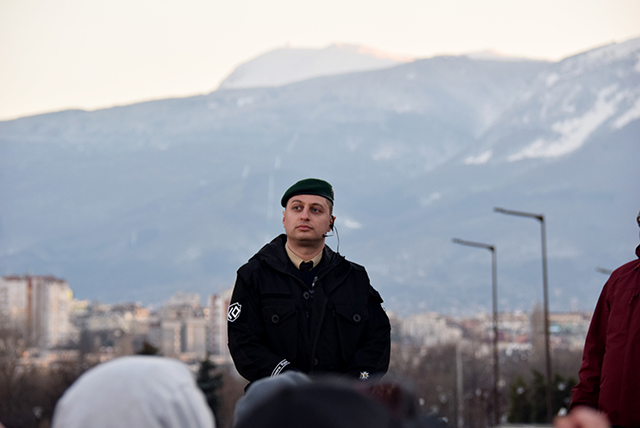 Plamen Dimitrov, organiser of the Lukov March. There were a lot of attendees, with many European nationalities participating. 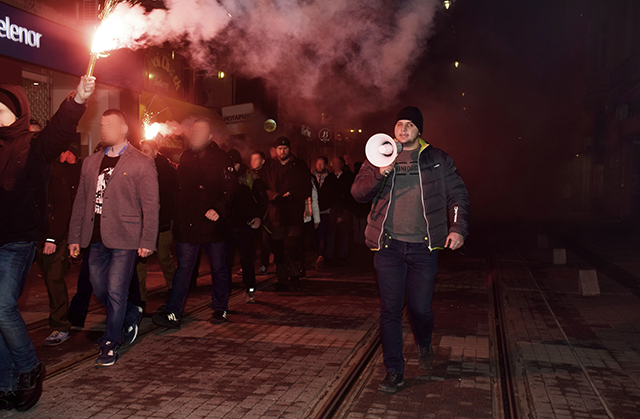 Several journalists reported on the event throughout the day and allowed participants to speak live in front of cameras – a very different situation to the media climate in the Nordics today. 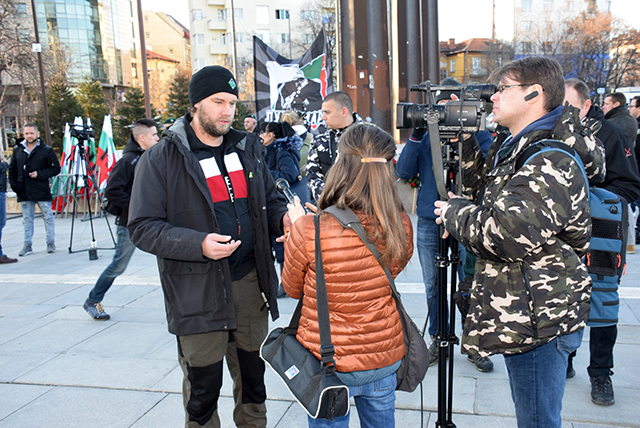 Pär Sjögren interviewed prior to the Lukov March. 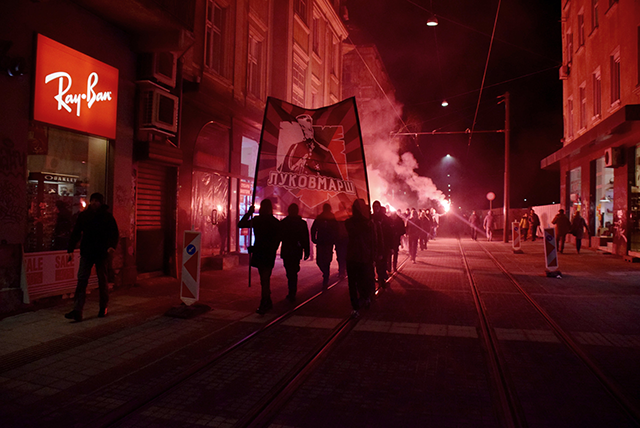 The march was preceded by an unannounced flash demonstration, a so-called flash mob, through central parts of Sofia, complete with smoke grenades. The images below are from the flash mob and from the march itself. The location of Hristo Lukov’s murder.